A new community clay center is slated to open in downtown Brattleboro, Vermont this winter. Wheelhouse Clay Center is the shared vision of co-owners Shari Zabriskie and Teta Hilsdon. After decades at the potter’s wheel, as both artists and instructors, they are realizing their dream of making the clay arts more accessible to members of their community. 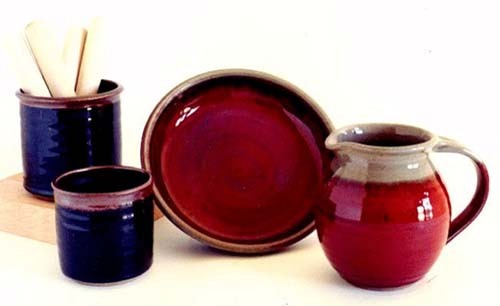 The women have been connected through pottery for over 20 years. They first met in 1997 at Brattleboro Clayworks, where Teta was a professional potter and Shari was a beginner. Last spring their career paths merged when they saw a demand for clay classes and pottery studio rentals in their hometown of Brattleboro. But Hilsdon knew that this was only the first step in actualizing their dream. “I knew I needed to talk with someone with good business sense to help me develop my ideas and plans,” Hilsdon said. So she reached out to Steve Paddock, a business advisor at the Vermont Small Business Development Center (VtSBDC) with a 40-year career in business management and ownership. Paddock helped the owners work through the various stages of business development, from writing a thorough business plan to refining their budget. Every first-time entrepreneur encounters “surprises” during their first year of business ownership. By asking difficult questions, Paddock helped Hilsdon and Zabriskie anticipate the challenges ahead. Through her conversations with Paddock, Hilsdon said she was able to tap into her own wisdom and, as a result, has developed more confidence as a business owner. “It is reassuring to know that I have a trusted guide in the process of planning out a business—going from generalizations to details, and courageously asking hard questions,” she said. Wheelhouse Clay Center will offer classroom and production space rentals for professional and hobby potters, as well as pottery-making classes and a collective craft gallery where members can sell their products. For more info, visit wheelhouseclaycenter.com or their Facebook page (facebook.com/WheelhouseClayCenter).